Sakkarbaug Zoo Management Advisory Society, Junagadh has published Advertisement for below mentioned Posts 2017. Other details like age limit, educational qualification, selection process, application fee and how to apply are given below. How to Apply: Interested candidates are requested to remain present along with all original certificates to given below address. 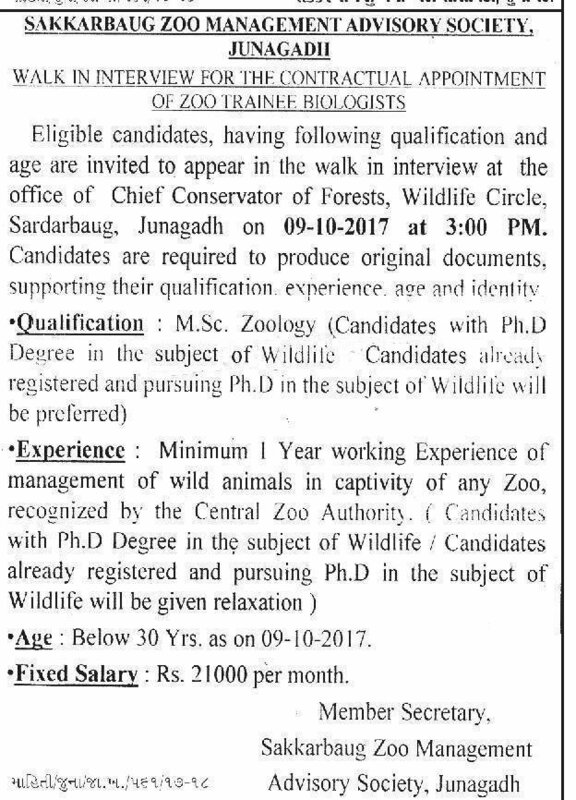 Venue: Office of Chief Conservator of Forests, Wildlife Circle, Sardarbaug, Junagadh. Walk-in-Interview: 09-10-2017 at 03:00 p.m.